Point2 Homes gives you far more than a simple list of houses for sale. 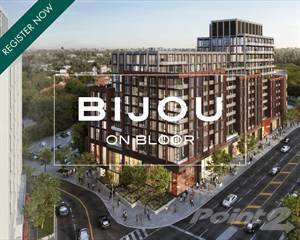 Get instant access to a lot of relevant information about Roncesvalles, Toronto, ON real estate, including property descriptions, virtual tours, maps and photos. The search results pages also have a wealth of information on Roncesvalles, Toronto, ON, if you scroll all the way down. 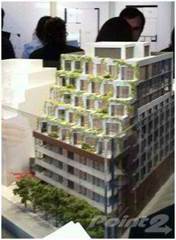 There are 17 houses for sale in Roncesvalles, Toronto, ON. 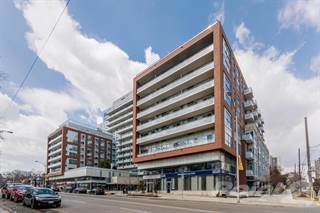 Searching homes for sale in Roncesvalles, Toronto, ON has never been more convenient. With Point2 Homes, you can easily browse through Roncesvalles, Toronto, ON single family homes for sale, townhomes, condos and commercial properties, and quickly get a general perspective of the real estate prices. Also, you’ll never miss a bargain if you filter listings based on house price drops in the past six months. 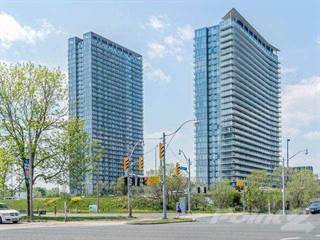 Use the map view to find Roncesvalles, Toronto, ON homes and apartments for sale, based on amenities or city features that you may want close by. You can close in on a specific neighbourhood or area by simply drawing around them with the polygon or radius tools. Stay informed about the latest entries on the real estate market by saving your searches. This way, you get new listings in your inbox, daily or every week, based on your preferences. If you’d like to get in touch with a professional, agents are displayed next to their listings, and they’re easy to contact through the online forms. 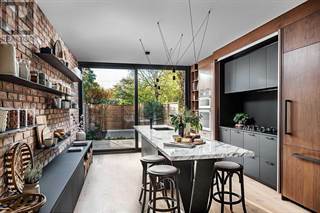 If you want more options, you can click the Tools tab and Find an Agent, and you’ll get a list of helpful and knowledgeable real estate agents in Roncesvalles, Toronto, ON. Visit the Point2 Homes blog and you can find up to date expert advice on many markets throughout Canada, regular market reports, neighbourhood scoops in cities throughout the provinces, real estate deals and useful recommendations. Roncesvalles is one of the trendiest and friendliest neighbourhoods within Toronto. Like any big city, Toronto features neighbourhoods that are simply lines drawn on a map, and those that have a true sense of community within their borders. “Roncy” as the locals call it, is clearly one of the latter. Roncesvalles is one of the many Toronto neighbourhoods with slightly informal boundaries. High Park and Landsdowne mark the West and East boundaries of the neighbourhood. Bloor Street, which is a divider of many neighbourhoods in the city, marks the north end of Roncesvalles, and Queen Street West marks the southern border. Roncesvalles is the home of much of Toronto’s thriving Polish population. There are a number of Polish businesses, restaurants, churches and more within the neighbourhood. Roncy is even home to Toronto’s annual Roncesvalles Polish Festival. Roncesvalles is a quiet, largely residential neighbourhood. It feels very much like small town, because so much of the neighbourhood is quiet; with almost all the commercial action being centered around one main street. In Roncy, the prime business district is right along Roncesvalles Avenue, which runs the entire length of the neighbourhood. On Roncesvalles Avenue itself, the atmosphere is one of independence and a thriving local community. While there are a few name-brand businesses here and there, (no business street in Toronto would be complete without the ubiquitous Starbucks), the vast majority of businesses on the street are local shops, designers, restaurants and artisans. The Polish influence in the neighbourhood is felt throughout. Many of the signs are marked in Polish and English, and businesses often have signs out that let customers know that they also offer service in Polish. Entertainment in Roncesvalles is mainly centered right on Roncesvalles Avenue. This street is considered one of the best in Toronto for those who prefer locally owned, independent and unique businesses and dining establishments. From a shopping point of view, local designers are featured in a number of the small shops along Roncesvalles. For fans of fashion, Coal Miner’s Daughter, Happenstance Clothing and Belo Fashions Boutique are just a few of the options within the neighbourhood. The dining along the street is excellent as well. Chopin is a restaurant that features Polish food that plays to the background of the neighbourhood. Lit is a popular local espresso bar. There is no shortage of places to grab drinks either. The Ace, The Roncy Public, The Local, and more all provide great food and drink in a friendly atmosphere. The neighbourhood also features parks and outdoor recreation areas. Sorauren Park is home to outdoors sport facilities and an off-leash dog park that is filled with families walking man’s best friend on a regular basis. Housing in Roncesvalles is a mixture of detached homes and apartment or condo blocks. There are also a large number of semi-detached homes and duplexes in the neighbourhood. 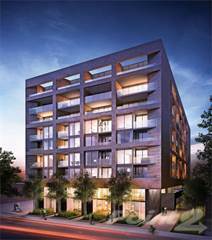 One overwhelmingly predominant feature in Roncesvalles real estate is the use of brick. The entire neighbourhood is made primarily of brick buildings, ranging from the businesses to the multi-unit dwellings to the detached homes. To differentiate their homes from the sea of brick in the area, homeowners often add little modernizing touches, such as brightly coloured trim or doors. Prices in the neighbourhood are high. Roncesvalles falls somewhat in the middle of the pack of Toronto neighbourhoods when it comes to safety. It is home to a large number of per-capita drug charges, and is the neighbourhood in the city with the 18th most assaults per capita according to the CBC’s 2011 Crime Map. However, anyone who has lived in Roncy for a prolonged period of time is likely to tell you how safe he or she feels in his or her little community. As a primarily residential neighbourhood, the educational options available nearby are very important to the citizens of Roncesvalles. There are four different schools in the area, including the Fern Avenue Public School, the Garden Avenue Public School, the Howard Junior Public School and the St. Vincent de Paul Catholic Elementary School. High School students travel to one of three schools in nearby neighbourhoods. Roncesvalles is still close enough to central Toronto that it is well served by public transit. There are streetcar routes along the north and south edges of Roncesvalles. The 505 Dundas and 508 Lakeshore both cross Roncesvalles Avenue. The Dundas West subway stop and the Landsdowne subway stop are both in very close proximity to the neighbourhood. Roncesvalles is a family friendly neighbourhood. There are many young couples that call the area home, and the city of Toronto estimates that there are approximately 700 more homes with children living in them then there are without in this neighbourhood. The readily available schools, the community feel and the walkability of the neighbourhood all seem to make it highly desirable to families.